Resort fee: You will be charged a $39 resort fee plus tax (per room, per night) by the hotel. Includes in-room wired and wireless Internet access for multiple devices, wireless Internet access in lobby, pool and Veranda Restaurant, full access to Fitness Center and wet areas, in-room coffee/tea maker, choice of daily newspaper delivered to room, unlimited local and toll-free calls and shoeshine service. Special notice: Four Seasons is a non-smoking and non-gaming hotel. 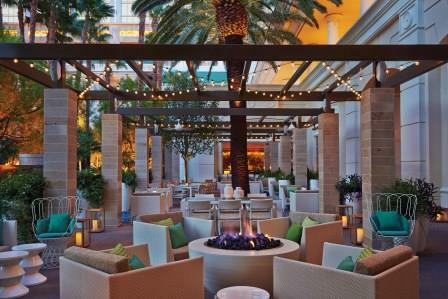 Special notice: Overnight valet parking is available at the hotel for a fee. Self-parking is available for a fee at Mandalay Bay. Resort fee: $39 per night plus tax payable at hotel. Special notices: Click “see more” for details. 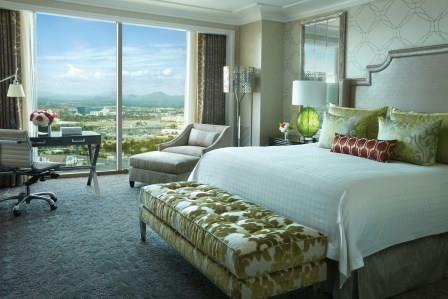 Like luxury skyboxes perched high above the glittering Las Vegas strip, Four Seasons Hotel Las Vegas’ stylish guest rooms are located on floors 35 to 39 of the Mandalay Bay tower, offering unsurpassed views of the world-famous Las Vegas Boulevard and surrounding desert landscape. The Art-Deco inspired guest rooms reflect the energy and excitement of one of the world’s most vibrant cities. 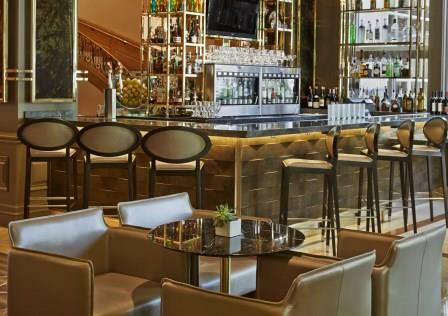 Enjoy handcrafted cocktails and small plates at PRESS, authentic Italian cuisine at Veranda and award-winning fine dining at Charlie Palmer Steak. Relax in the Forbes five-star spa and lushly landscaped private pool. 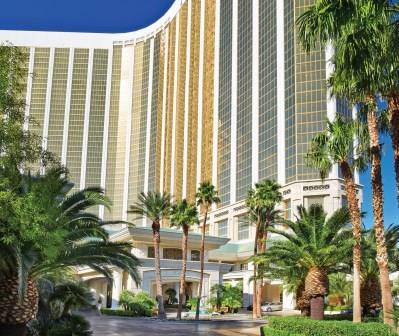 The hotel offers direct access to the adjacent Mandalay Bay Resort & Casino with some of the city’s best nightlife and entertainment. Fully renovated Forbes Five Star Spa inspired by the natural beauty of the desert. Private outdoor pool, whirlpool, cabana rentals and pool bar at Four Seasons. 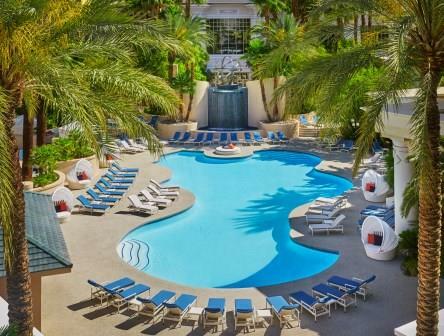 Full access to three pools, lazy river, jogging track, sand beach and adults only Moorea Beach Club at Mandalay Bay. New, state-of-the-art Fitness Center at the Spa features cutting-edge cardiovascular and strength-training equipment. Provide the names and ages of children before your stay and receive a welcome amenity. Babysitting services for an hourly fee. Complimentary board games and DVD library. About 10 minutes (4 miles) from McCarran International Airport. Located on floors 35 to 39 of the Mandalay Bay tower. • Hotel information: Credit card required at check-in. Rooms for physically challenged available. This hotel has a smoke-free policy. Pet friendly ($). • Parking: Self and valet parking ($). • Traveling with children: Babysitting service ($). Children under 17 stay free. Crib available.